Lightweight and water-resistant, the Gametime Scoreboard is portable and suitable for various settings. Built as a multi-sport device, the Scoreboard supports scoring for 29 different games and easily handles professional sports settings. 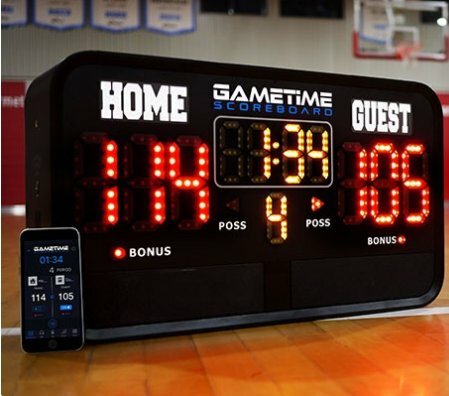 The Gametime Scoreboard works seamlessly with the multi-functional iOS mobile app that allows users to remotely control the scoreboard and fully customize the experience: record unique sound effects on the SFX page of the app, use the in line microphone to make play-by-play announcements, and stream music through the built-in wi-fi module.